Hibiscus plant also called Hibiscus sabdariffa  as a scientific name is well known for its flowers that are particularly used to make tea. This kind of tea is colored ruby red and owns a sour taste that is similar to cranberry flavor. Hibiscus tea is widely used throughout the world as a medicinal tea that can be drunk hot or cold up to one’s preference. Because of being caffeine-free and low in calories, hibiscus tea is really excellent in keeping the body healthy and fit. The benefits of hibiscus tea for health include relieving blood pressure and high cholesterol level, improving digestion, speeding up metabolic procedure, stimulating the immune system, dealing with inflammatory problems, curing liver disease, preventing the risk of cancer, aiding in weight loss, and relieving stress and hypertension. 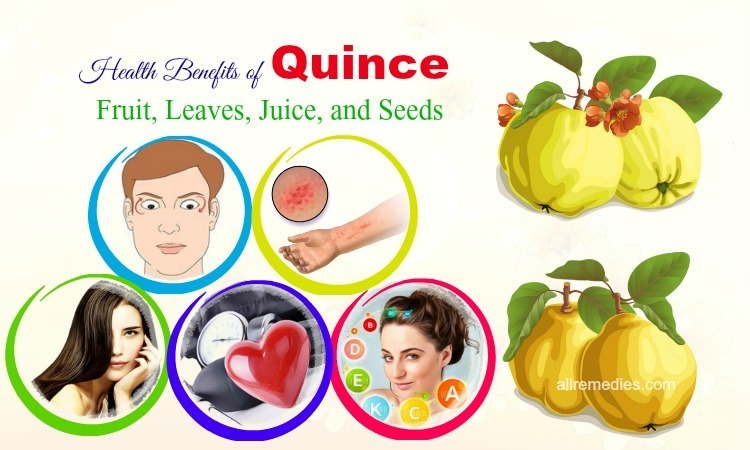 All of these benefits depend on its richness of vitamins, minerals, and antioxidants. 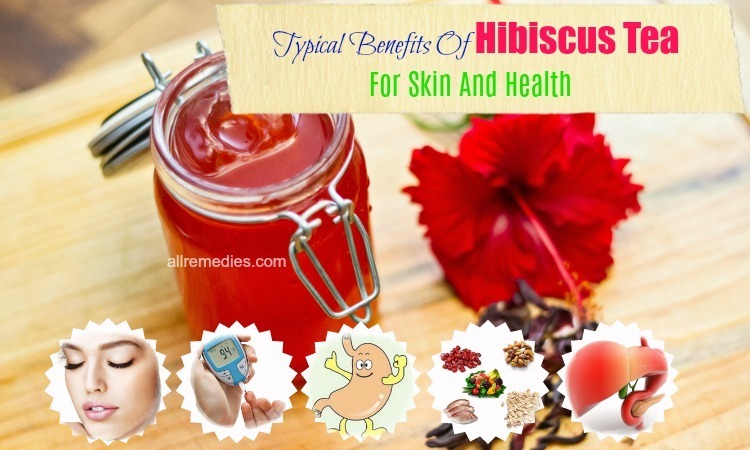 It is time AllRemedies.com introduced you 12 typical benefits of hibiscus tea for skin and health. All the mentioned benefits of hibiscus tea will explain how helpful this tea is for your health and why it deserves to be regularly consumed. For those who don’t know or wonder what the benefits of hibiscus are, just spend a few minutes reading the article to have more information! Lowering cholesterol level is known as one of the benefits of hibiscus tea for health . 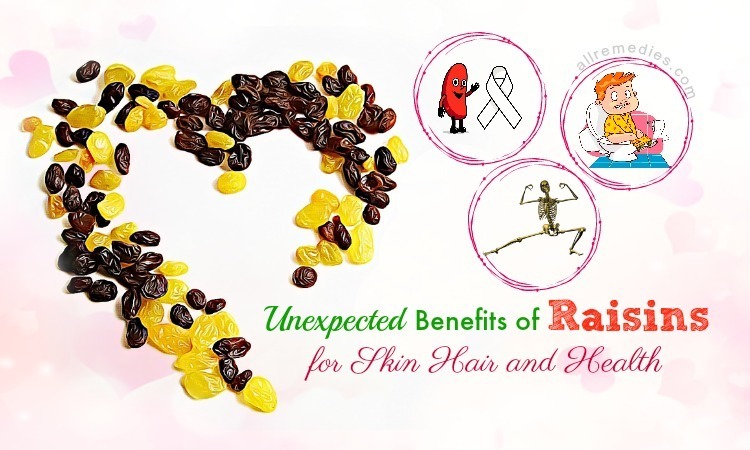 The reason is that this kind of tea is very rich in antioxidants that are essential for lowering the levels of bad cholesterol in the body, which means it can help prevent the blood vessels from being damaged and protect against heart diseases. 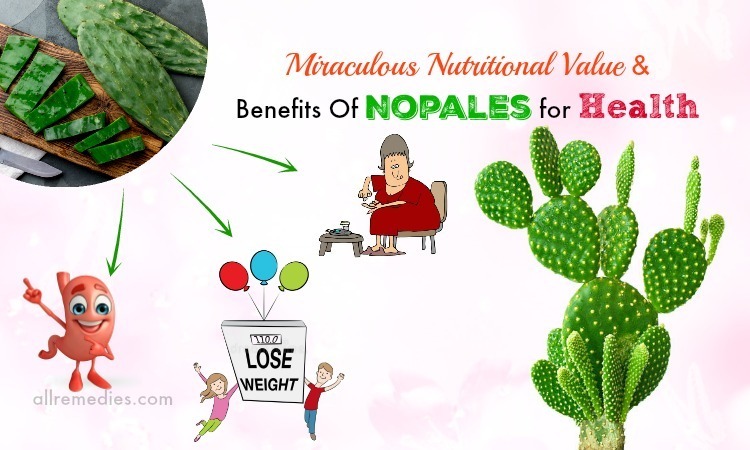 In addition, the tea also contains hypoglycemic and hypolipidemic properties  that are beneficial for those suffering from diabetes or other blood sugar disorders. A study conducted on the patients with diabetes type II has shown that the consumption of hibiscus tea helps lower triglycerides and cholesterol thereby managing this unexpected disease. 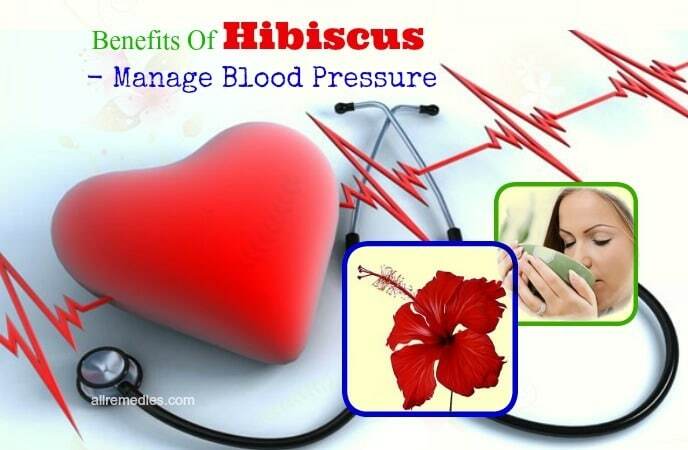 Managing blood pressure is another of the health benefits of hibiscus tea. According to a study before, the consumption of this tea helps reduce the blood pressure in both the pre-hypertensive and lightly hypertensive adults. And this kind of tea is believed to protect against high blood pressure or hypertension that occurs to almost 1/3 of adults in the US. 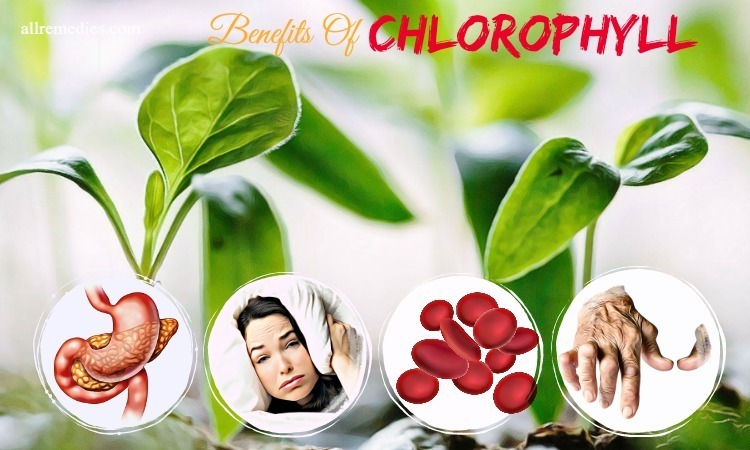 This depends on the cardioprotective and anti-hypertensive properties found in the hibiscus tea that may be helpful for dealing with hypertension as well as other various cardiovascular diseases. In addition, the benefits of hibiscus tea on the blood pressure management also depend on the presence of anti-inflammatory properties that are believed to significantly reduce blood pressure. Hence, you should consume at least 3 cups of hibiscus each day for a few weeks to get an improvement in the heart health. And its diuretic properties also help increase urination and partly lower the blood pressure indeed. As mentioned above, hibiscus is also beneficial in reducing the bad cholesterol in the body, so the benefits of hibiscus tea also include the ability to treat diabetes. This kind of tea, according to the research before, can reduce LDL cholesterol, the bad one, in particular, and total cholesterol in common while increasing HDL, the good one, in those with diabetes type II. Preventing the risks of cancer is also one of the health benefits of hibiscus tea . The reason is that this kind of tea contains protocatechuic acid with specific antioxidant and anti-tumor properties. According to a study before, hibiscus tea was indicated to induce apoptosis that is normally considered programmed cell death thereby slowing down the growth and development of cancerous cells in the body. When mentioning to hibiscus, people normally praise for the benefits of hibiscus tea on the liver health. The high concentration of antioxidants in this kind of tea makes it possible to prevent and treat liver diseases. More clearly, those antioxidants help neutralize the free radicals deposited in the body cells and tissues, so it protects the body against many types of disease. For these reasons, hibiscus tea is always advised to be consumed as a simple way to maintain the general health and increase one’s lifespan. Due to the presence of antibacterial and anti-inflammatory properties, hibiscus tea can help you prevent and deal with many types of disease. 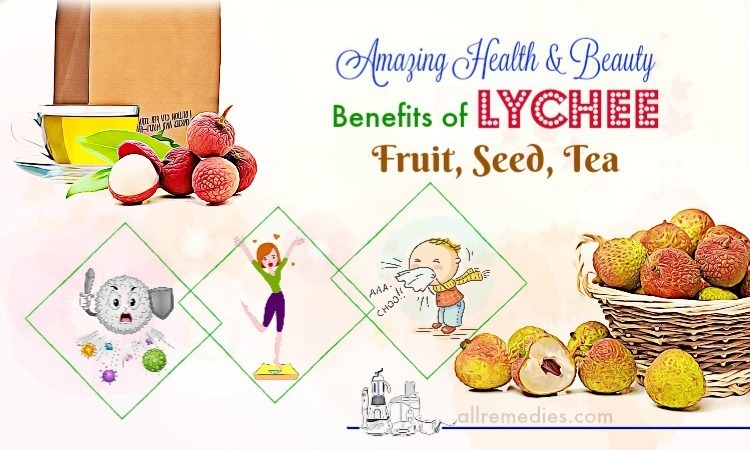 In fact, it is very rich in vitamin C that is also known as an ascorbic acid essential for stimulating and boosting the activity of the immune system. 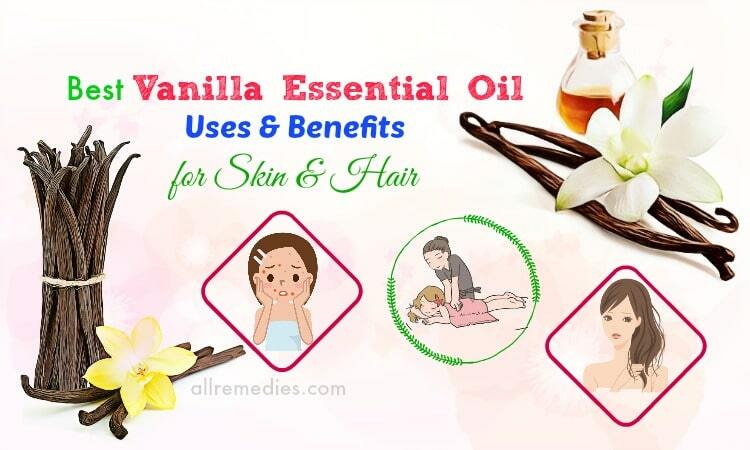 In addition, its antibacterial and anti-inflammatory properties help prevent the occurrence of the colds and flu while lowering the body temperature with cooling effects thereby dealing with a fever as well. The benefits of hibiscus tea also include the ability to improve digestion. 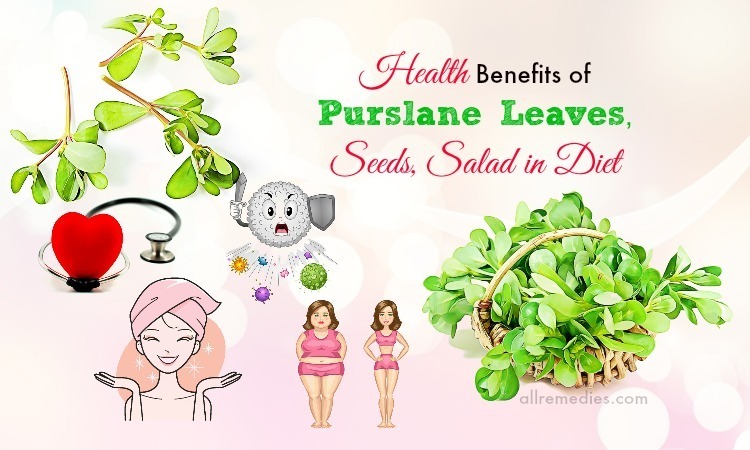 This depends on the diuretic properties in the tea that helps treat constipation and stimulate the activity of the gastrointestinal system. Hence, hibiscus tea is always considered to be beneficial for the digestive process and the bowel and bladder function. 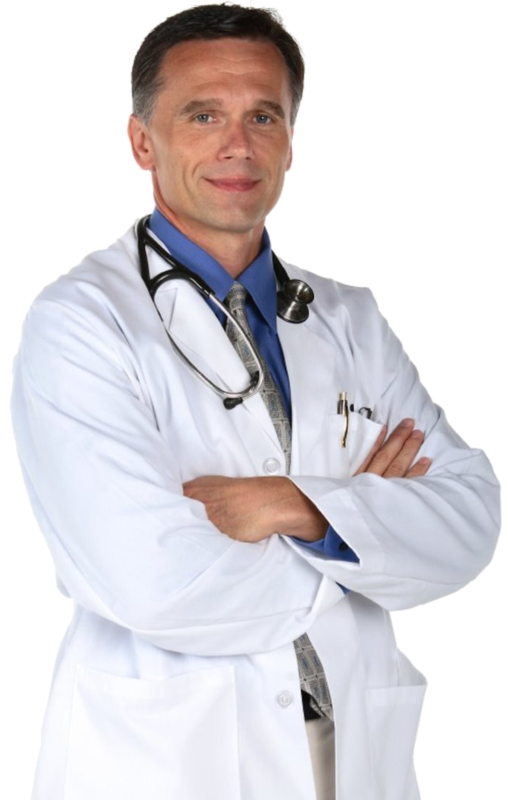 In addition, its anti-spasmodic effect is helpful for dealing with some symptoms related to irritable bowel syndrome  as well. Moreover, hibiscus tea is really a natural remedy for colorectal cancer treatment . People should be aware that up to 30% of hibiscus tea contains organic acids including malic acid, citric acid, and tartaric acid that are all found in wine and many fruits like grapes. Hence, the benefits of hibiscus tea include lowering blood pressure, boosting the immunity, improving skin health, managing inflammation, and stimulating the digestive system. 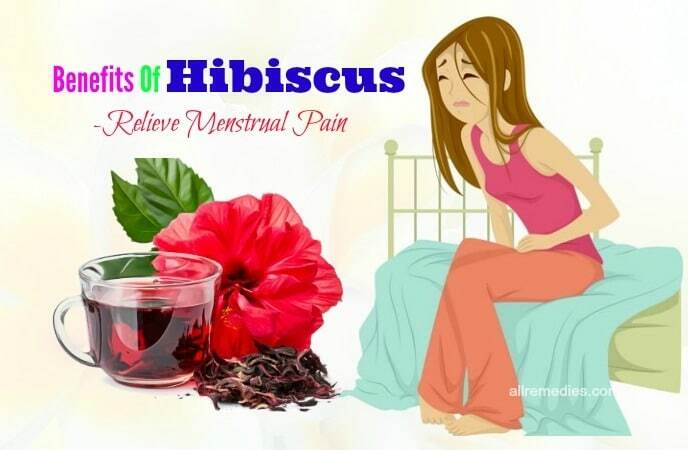 Menstrual pain is a common problem in women which can be relieved by the consumption of hibiscus tea. The benefits of hibiscus tea for health also include the ability to deal with cramps and menstrual pain in women. 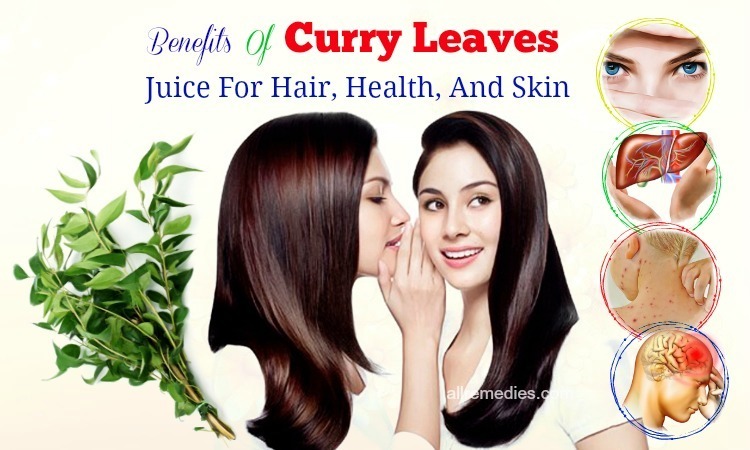 In addition, it helps restore the hormone balance thereby reducing other symptoms of menstruation such as mood swings, overeating, and depression as well. Aiding in weight loss is another of the health benefits of hibiscus tea. As other herb tea, hibiscus tea is widely used for this purpose, especially by the women. The consumption of food rich in carbohydrates means you are taking in sugar and starch, which makes it possible to gain weight. It is time for you to consume some kinds of foods or drinks like hibiscus tea because it helps lower the absorption of glucose and starch thereby aiding you in weight loss. 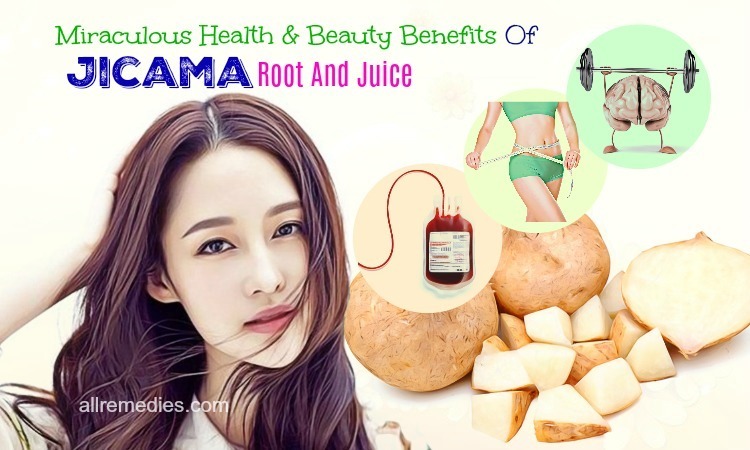 In addition, this kind of tea restricts the production of amylase that stimulates the absorption of starch and carbohydrates in the body, so it helps you prevent the occurrence of gain weight. For these reasons, you can see many weight loss products available in the market contain hibiscus extracts indeed. Not only does hibiscus tea be good for the internal health but it is also used to improve the external skin conditions. This depends on the presences of antioxidant and anti-inflammatory properties in the tea such as vitamin A and vitamin C that are both effective in treating acne, scars, eczema, sunburns, and skin allergies. More clearly, antioxidants found in the tea help eliminate any visible signs of aging on your face such as wrinkles, moisture loss, and elasticity thereby giving you the lasting youth. Not having to use chemical remedies like Botox to make your skin flawless, you can consume hibiscus tea on a regular basis as a natural way to make your skin looks much younger. Removing or dealing with depression is another of the health benefits of hibiscus tea. In fact, this kind of tea contains various vitamins and minerals including flavonoids that contain antidepressant properties. Hence, the consumption of the tea helps relieve the nervous system by creating a relaxed sensation and reducing anxiety and depression in mind as well as the whole body. Hibiscus tea is also considered as a favorite drink that is also used as other sports drinks to satiate thirst. As mentioned above, this kind of tea has a taste similar to cranberry juice, which means it is also easy to consume. You should add some honey or sugar to increase the sweetness of the tea and add some spices like ginger, cloves, cinnamon, and nutmeg to raise its taste up to your preference. Hibiscus tea can be used as other sports drinks, so its iced form is typically consumed. The tea has been widely used because the consumers believe it can quickly cool down the body. 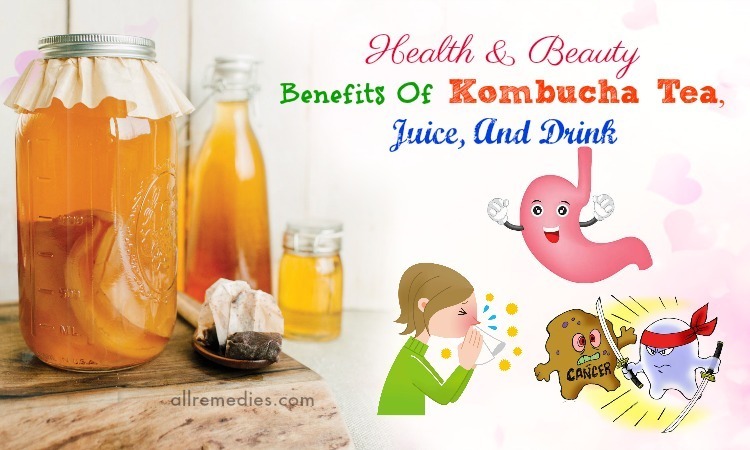 In addition, its rich medicinal properties help flush the excess fluids and toxins out of the body ensuring you the best possible performance. Hibiscus tea can be consumed in both the summer and winter in both the iced and hot form. In the winter, it just takes a few minutes to brew hibiscus tea and consume it as a way to keep yourself warm in the cold weather. It only takes a few minutes to make. In the summer, you can consume hibiscus iced tea that takes you about 20 minutes to properly prepare then you may cool off yourself in a refreshing and healthy way. Besides the various benefits of hibiscus tea for health, there are also some side effects of the tea you should pay attention to. Firstly, hibiscus tea relates to a blood pressure problem. As mentioned above, hibiscus tea is very effective in lowering blood pressure, which also means it should be not be consumed by those with low blood pressure that is also called hypotension condition. The consumption of the tea can cause faintness and dizziness even damage the brain and heart in those suffering from low blood pressure. Secondly, hibiscus tea should not be consumed by pregnant women because of its particular emmenagogue effects  that can improve menstruation and blood flow in the pelvic region or the uterus. Therefore, you should consult a health specialist when intending to consume hibiscus tea if you are taking birth control pills or undergoing hormonal treatments so that avoiding unexpected side effects during this period. Thirdly, hibiscus tea can also cause allergies in some people as other medical tea. For example, it can develop some allergic reactions like hay fever, itchy red eyes, or sinus indeed. Finally, hibiscus tea also has a hallucinatory effect in some certain people. In fact, the consumers can experience hallucination or feel intoxicated after drinking the tea, so you should be careful to consider how your body feels afterward. That means you should not drive as soon as consuming hibiscus tea because this can be dangerous for you to the traffic. After reading the article on 12 typical benefits of hibiscus tea for skin and health in our main Herbal Remedies page, hope that you can know how beneficial this tea is so that consuming it properly in your daily diet. Please let us know if you have any question by leaving them below and share with us other health benefits of hibiscus if you know more.